Living a healthy lifestyle is great. And loving to work out? A double bonus! But how do you know if you’ve crossed the line and started doing too much of a good thing? When does a love of fitness turn into an unhealthy obsession? Well, there are definitely some warning signs. 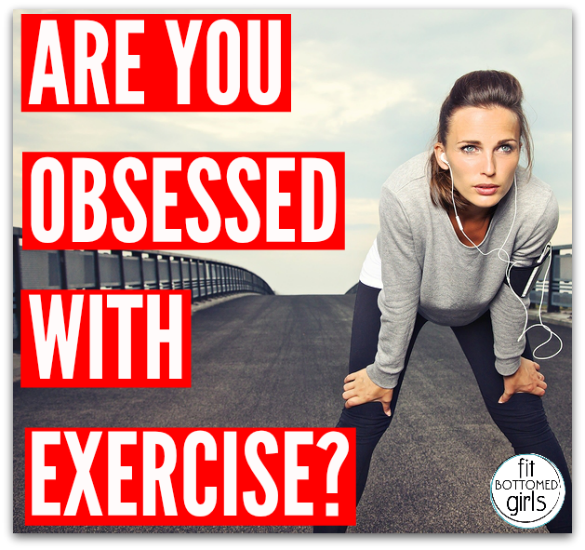 Take this obsessed with exercise quiz to see if your relationship with exercise is healthy or all-consuming! I rated “healthily obsessed”. I guess that’s ok? I rated a “healthy obsession” which is what I knew to be true already. I still can get too over obsessed with it and at different times in my life I have used working out to “burn extra calories” for over indulging. It has been a quite a while since I did that and have really been learning that exercise is more than about weight loss; it is about living a healthy life so that I will be around to see my kids grow up and be healthy as well. I used to be obsessed with exercise and burning calories to fit a size 4 (or even better a 2), but combined with too little food it didn’t make me healthy. I’m recovering from a stroke now. I’m using the same discipline and determination now to get better (I got paralysed because of the stroke, but you can get better if you work hard). I’m never going to overexercise anymore combined with eating almost nothing. That nearly killed me! Actually I hate exercise. I do about 5-10 minutes a day thats it. My family say I should do more but I cannot find the motivation to get out of the house.